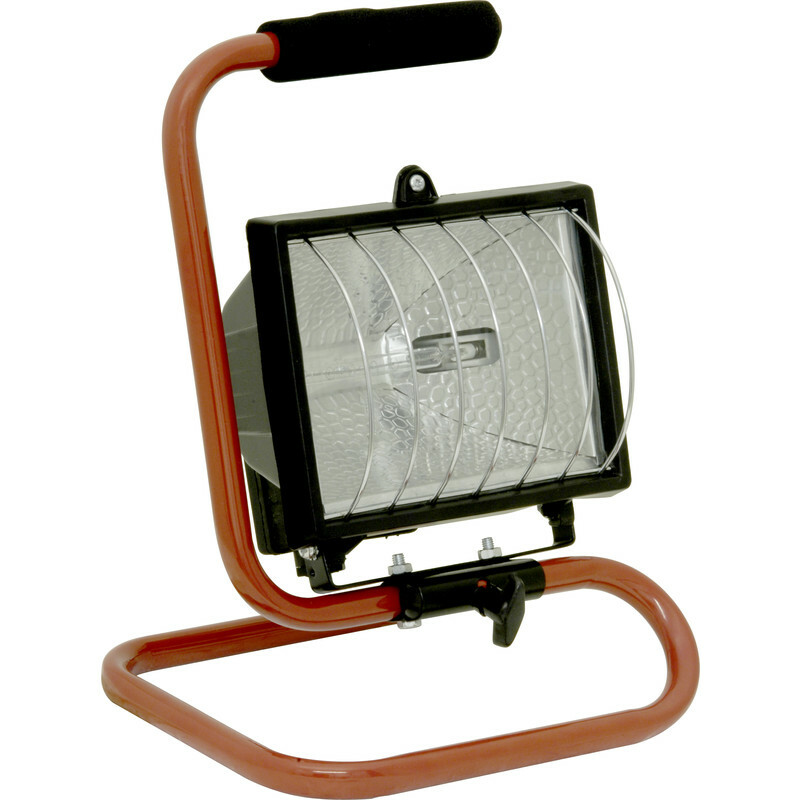 Cradle mounted site light complete with adjustable cradle. Complete with plug and cable. This luminaire is compatible with bulbs of the energy classes A+ to E. Meridian Lighting. Floor Standing Light 230V 150W is rated 4.3 out of 5 by 29. Rated 4 out of 5 by Rick07 from Great for the money Bought this as a DIY aid for use when modifying/renovating my new house. Does what is says on the tin, although a bit disappointed that the weight of the cable tends to cause the light to spin around on its mounts and point towards the ceiling. Rated 4 out of 5 by Baton from Good Value Bought for a rennovation project, went for the higher wattage of the two products sold here (150w/400w). The product gets very hot after prolonged usage, which transfers along the metal frame. However, in an unheated house it'll be a bonus in winter. But care needs to be taken when moving it without gloves. That said it's sturdy, very bright and good value - very happy with the purchase. Would score 5 but don't know how long the bulb will last and there's the heat issue. Rated 5 out of 5 by mjohn from So bright. Arrived next day, easy to assemble, good quality, competitively priced and does the job perfectly. Rated 1 out of 5 by Issy from Rubbish! Socket not compatible with UK 220-240V. Light badly assembled, screw wouldn’t hold lamp cover in place. Changed lightbulb twice but not working. Returned to store for refund. Rated 5 out of 5 by DodgyBuilder from Excellent little work light These are ideal work lights - pretty small, but pretty powerful....and cheap. Use a couple of them to light up a job - like turning on the sun.